CINCINNATI--(BUSINESS WIRE)--Fifth Third Bancorp announced plans today to raise its minimum hourly wage for all employees to $15, and distribute a one-time bonus of $1,000 for more than 13,500 employees. The actions are in appreciation for the commitment employees show in supporting customers and building stronger communities. Approximately 75 percent of employees will receive a pay increase or bonus. 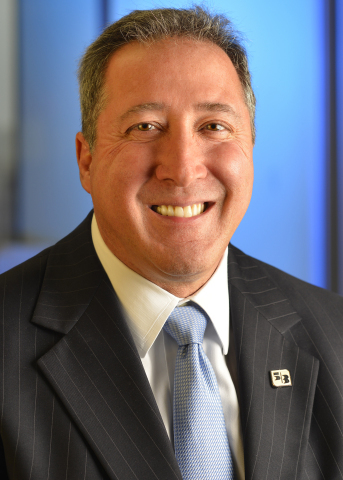 “It is good for our communities, employees and Fifth Third Bank,” Carmichael said. Fifth Third Bancorp is a diversified financial services company headquartered in Cincinnati, Ohio. As of Sept. 30, 2017, the Company had $142 billion in assets and operated 1,155 full-service Banking Centers and 2,465 ATMs in Ohio, Kentucky, Indiana, Michigan, Illinois, Florida, Tennessee, West Virginia, Georgia and North Carolina. In total, Fifth Third provides its customers with access to nearly 55,000 fee-free ATMs across the United States. Fifth Third operates four main businesses: Commercial Banking, Branch Banking, Consumer Lending and Wealth & Asset Management. Fifth Third also has an 8.6 percent interest in Vantiv Holding, LLC. Fifth Third is among the largest money managers in the Midwest and, as of Sept. 30, 2017, had $348 billion in assets under care, of which it managed $36 billion for individuals, corporations and not-for-profit organizations through its Trust and Registered Investment Advisory businesses. Investor information and press releases can be viewed at www.53.com. Fifth Third’s common stock is traded on the Nasdaq® Global Select Market under the symbol “FITB.” Fifth Third Bank was established in 1858. Member FDIC.